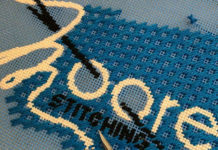 Scott Poore is still doing great things. Last year, we shared Scott and Bolt’s story, a story about one man’s quest to find a homeless dog a home. 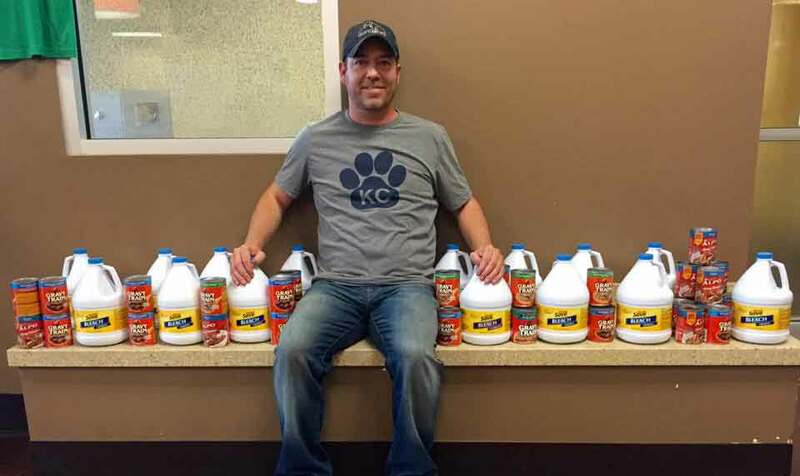 For the last three years, Scott worked tirelessly for Great Plains SPCA in KC, being an advocate for the homeless pets he saw come into the shelter every day. He spent hours promoting these pets, with homemade videos of him interacting with the dogs, taking them on field trips to get a “pup-cone” and sharing all the wonderful aspects of each dog. He was constantly coming up with new ways to raise awareness and support for Great Plains SPCA and all the animals that they help. Last summer, Scott decided to make a change- a change for the best of many homeless animal shelters in the Metro area. 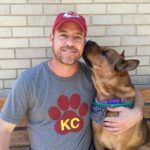 He built a business based on his love for animals and giving back to the shelters- Adopt Don’t Shop KC, an online company at www.adoptdontshopkc.com that sells hip t-shirts and accessories geared to spread awareness on adopting from the local shelters instead of buying from “big box” stores like PetSmart. 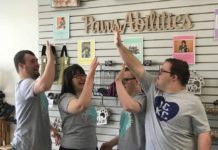 Now, not only does he give back to Great Plains, but he has expanded his giving to other area shelters like Unleashed Pet Rescue and The Pet Connection. His shirts are designed with popular colors in mind, for the KU, KState, Royals and Chiefs fans’ alike. (We would like to see an MU Black and Gold one. Hint, Hint.) Scott also designs and sells decals and hats and soon, will have a tee for your dog! Four dollars for every item sold will go toward a local shelter in KC. Scott has raised so far over $10,000, but would love to do more and with the cold weather coming, the shelters will need the donations the most. The holiday season is upon us- what a great way to get your holiday gifts done and give back at the same time! Scott sells adult and youth sizes- these shirts will make great gifts! T-shirts can be purchased at www.adoptdontshopkc.com and connect with Scott on Facebook at the Adopt Don’t Shop KC Facebook page! 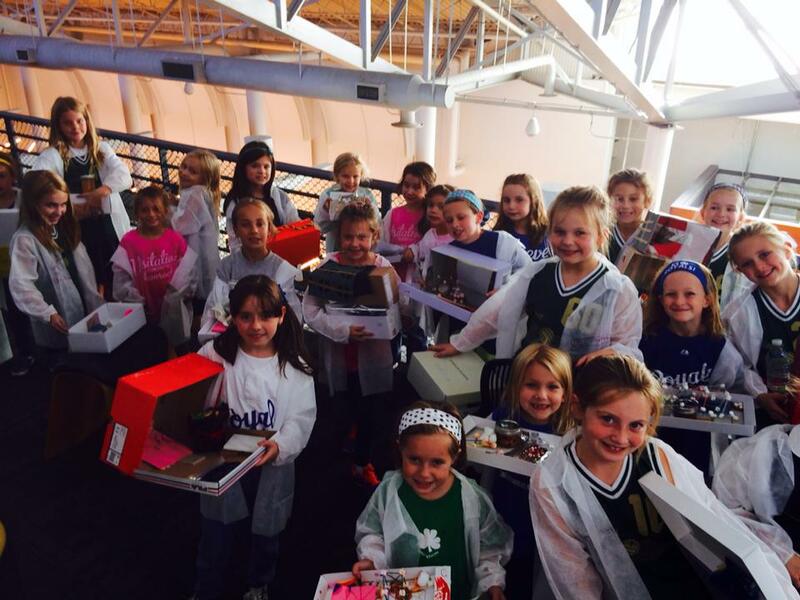 Hope Malone-McPheeters is a blogger, teacher, mom, and advocate in Kansas City. She is a contributing editor for Promote KC because she loves Kansas City and the entrepreneurial spirit within our city! She is also a contributor to blogs on Ella's Hope for Autism and Autism Support Now Behavioral Services. Hope has two children, Ella and Luke and lives in KC with her husband Sam and children. Andy’s Grand Opening with a Free Sundae! A Big Thanks to #Local Sponsors!